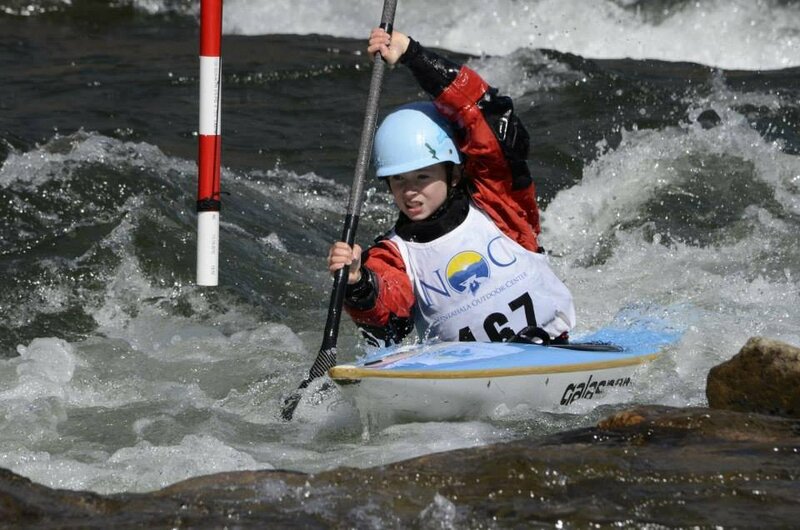 On August 9-11, whitewater paddlers ages 18 and under converged on the Nantahala River for the 2014 Whitewater Junior Olympics. Hosted by Nantahala Racing Club, Nantahala Outdoor Center's non-profit partner, the event featured competitions in all three whitewater disciplines - freestyle, slalom and downriver. For the junior althests, this event is a place to showcase their abilities while practicing their skils and racing under pressure. Participants were also encourages to explore different disciplines and expand upon their existing whitewater skills. Following along this tone, the Junior Olympics are the ideal event to demonstrate the mission of NRC - to get youth outdoors, promote healthy alternatives for children and to engage familites in outdoor recreation through whitewater sport. This years event included over 70 participants with 7 different events. Click the links below for events. To learn more about the Nantahala Racing Club and future whitewater events, click here.